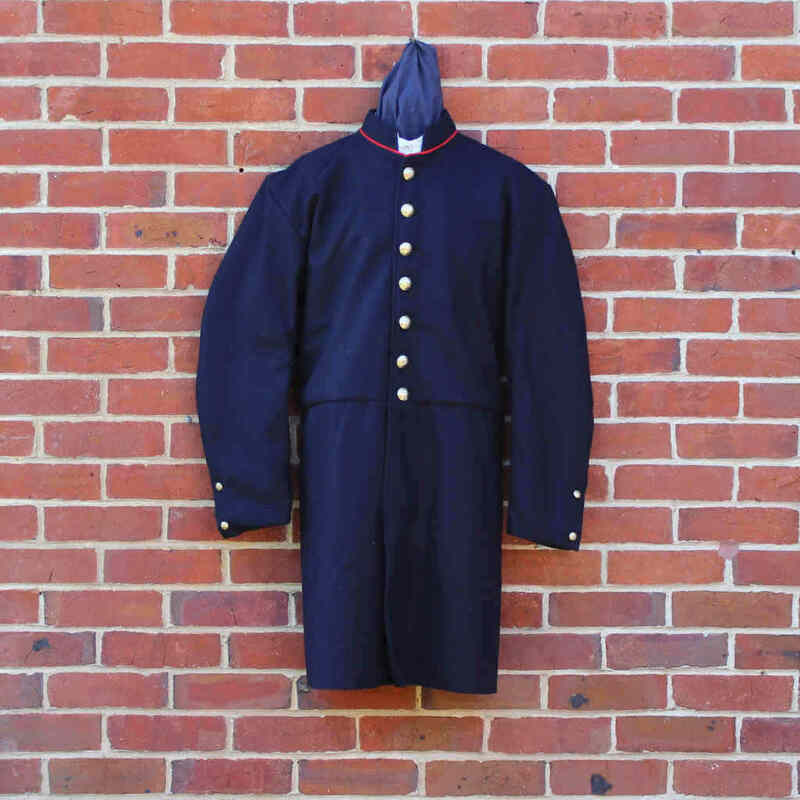 Regulation coat with 7 US Marine brass buttons down the front and 2 on the back for the enlistman. The buttons are copies of the US Marine Civil War buttons. 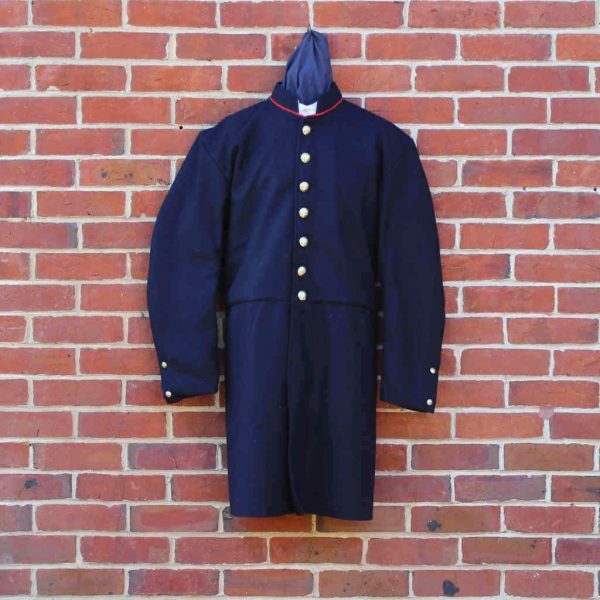 This wool and cotton lined frock coat, has red welt around the bottom of the collar.